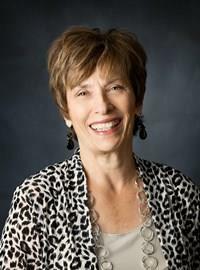 Connie Roehrich joined the Affinity Plus Board of Directors in 2008 and most recently served as Board Chair. Roehrich worked for the MN Department of Corrections for over 30 years; she served as a warden at three different correctional facilities over the past 20 years. Roehrich has been a member of numerous criminal justice organizations and currently is involved with MN Partners of the America, working closely with the correctional professionals in Uruguay, South America. Roehrich has a Bachelor of Science degree from Bemidji State University in social work and a Master of Science degree from Mankato State University in sociology. A native of Kemp, Texas, Nick obtained his Bachelor’s of Science Degree in Biology from the University of Texas at Arlington before moving on to several positions in the criminal justice field, including law enforcement and court administration. He went on to graduate from Texas Tech University School of Law where he first joined the Innocence Project of Texas as a volunteer student. Nick went right to work after law school, first serving as the Case Director and then the Executive Director. Nick was instrumental in IPTX’s efforts to combat junk science, including important work on the Dog Scent Lineup Report and the Statewide Arson Review partnership with the Texas State Fire Marshal's Office. After leaving IPTX in 2015 he served as the Assistant General Counsel to the Texas Forensic Science Commission where he managed the Commission’s hair microscopy and bite mark comparison case reviews. Nick is excited to once again be an advocate for the innocent working to free the wrongfully convicted in Minnesota and the Dakotas. The Innocence Project of Minnesota represents people who were wrongfully convicted for crimes they did not commit. We also educate attorneys and criminal justice professionals on best practices, and work to reform the criminal justice system to prevent wrongful convictions and other unjust results in criminal cases. 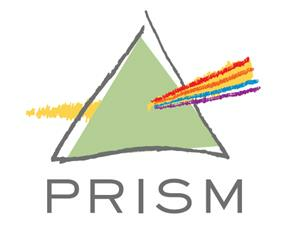 Golden Valley-based nonprofit PRISM has opened its doors at a new location. Staff say the new space allows them to better serve clients as well as offers a chance to generate more revenue through a larger thrift store. The new location at 1220 Zane Avenue North is just east of the roundabout on Douglas Drive and Golden Valley Road. A donor purchased the building and gave it to Jewish Family and Children’s Services, who leased space to PRISM. The new location has a storefront for a larger, more shopper-friendly thrift store. The nonprofit hopes the thrift store will generate more revenue. The food shelf also offers a better-feel for clients. Instead of the large warehouse that served as storage and shopping space, the shopping area looks like a grocery store. There are more coolers and more fresh fruits and vegetables. PRISM embarked on a two-year campaign to raise $350,000 for this move. John Mackey has spoken on many occasions on the topics of credit, FICO scoring, and debt collection defense. Said Mackey, “There is so much misinformation on credit, credit scoring, and debt collection that has been perpetrated by our professional institutions, credit bureaus, and advertisements. Nobody recognizes what the truth is anymore. Credit is one of the most important factors in American’s lives now. It determines where we live, what we drive, and how much we pay for items, even items that don’t even appear on the credit report (mobile phones, for example). We are penny wise and pound foolish and how we purchase items. I am here to shed light on the truth.” Mackey is founder of creditGeni.us, Master Credit Solutions, US Credit Project, and Give Me Credit Media. 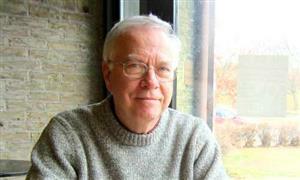 John is a former radio show host of “Give Me Credit”, heard both locally and nationally. Author of the current book, "Debt Collectors: Lies, Damn Lies, And Deceit", currently being sold on Amazon and Barnes & Noble online. Clyde Doepner, the official Minnesota Twins curator, will bring alive the history of the Twins through stories and baseball memorabilia. Before he became the only full-time curator in Major League Baseball, a position he has held with the Twins since 2009, Clyde Doepner was both an avid collector of Twins memorabilia and a longtime history teacher at Tartan High School. 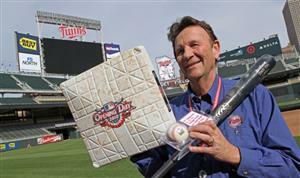 His association with the Twins grew out of a chance encounter with former owner Calvin Griffith, and his collection of team memorabilia became particularly notable when the organization had its first TwinsFest at the Metrodome in 1989. Being hired in 2009 as a full-time employee, he said, was a dream job. Doepner has logged memorabilia from all generations of Twins baseball — Harmon Killebrew to Kirby Puckett to Joe Mauer and now the new generation with Miguel Sano and co. Among his favorite pieces are those from Killebrew, a player he considers his hero. But the collection still is growing, as evidenced by an addition from the very recently retired Torii Hunter. 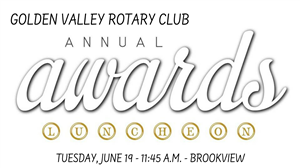 The Golden Valley Rotary Club will gather with members of the community to celebrate all things Rotary during the 2017-2018 year. 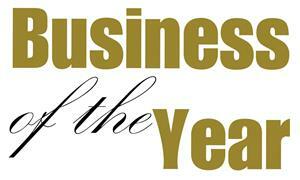 We will award the Citizen of the Year award and the Rotarian of the Year award. Our high school scholarship recipients will be honored. Paul Harris Fellows will be given for extraordinary service. And Colleen Haubner, Club President, will pass the presidential gavel to Julie Peterson, President-Elect. A great celebratory event in the forty-five year history of the Golden Valley Rotary Club! All are welcome! Feel free to invite friends and family. Rachel Kerr, DNP, BS, RN, OCN is currently pursuing a DNP degree at the University of Minnesota in Health Innovation and Leadership. She is focused on using her nursing expertise to examine and intervene the effects of climate change on the health of vulnerable and underserved populations, both locally and globally. She is an innovative, future-forward, transdisciplinary-minded nurse and DNP student with a career goal of taking action on climate change as a nurse leader. Her nursing practice, formerly centered on oncology and infusion therapy, is currently expanding to include earth-care as a means of addressing the social determinants of health, both locally and globally. She is interested in taking down the physical, cultural, and metaphorical walls that divide and replacing them with supportive structures that facilitate connection, sustainability, optimal health, and well-being for all. She believes that we, as global citizens, owe our deepest allegiance to Future Generations. The Future Roots Project is a collective founded in Minnesota that focuses on sustainable educational, artistic, and health initiatives in Nicaragua. From teachers trainings to designing sustainable classroom materials, Future Roots brings educational and artistic opportunities to impoverished communities that improve literacy rates, creativity, self worth, health & empowerment in children. Jaime Belden is from Robbinsdale, Minnesota but starting at a young age has pursued every opportunity possible to travel internationally. Her passion for understanding other cultures led her to Hamline University where she earned a BA in Global Studies, minoring in Political Science and Spanish. She became highly experienced in teaching the fundamental skills necessary to read in Spanish while working with the underprivileged, malnourished and neglected students in the Twin Cities. Jaime currently dedicates herself to improving the education system in Nicaragua by providing teacher trainings focusing on literacy, creativity, and music. Elizabeth Dahl grew up in Winsted, Minnesota. After graduating high school she attended Hamline University where she studied Cultural Anthropology & Philosophy. She also attended The Art Institute studying Culinary Arts and Management. She worked as an Executive Chef for five years in the restaurant industry before becoming more active organizing food drives, growing gardens, and feeding the less fortunate in her local community. Liz is a co-founder of the international Future Roots Project. 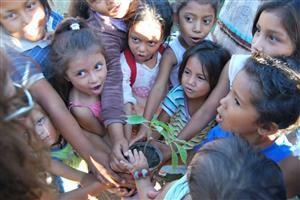 She is currently living in Nicaragua where she teaches art while sharing her knowledge of nutrition and sustainable gardening. 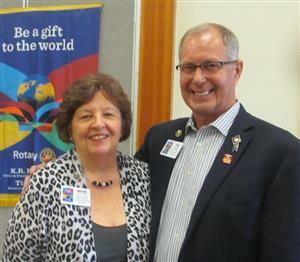 Irene Kelly is a​n Eden Prairie AM Rotarian, 5950 District Governor, a coach, a mother, and a grandmother. In her Rotary life, her goal is to encourage members to share their passion to make a positive impact in the world. In her professional life, she has the honor of serving her clients to make their highest contribution to the world. In her personal life, her proudest title is “Gma” of 3 grandchildren ranging from 3-9. Life is great! 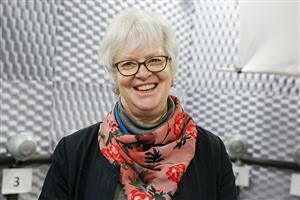 Peggy Nelson, Ph.D. is a professor of audiology in the Department of Speech-Language-Hearing Sciences at the University of Minnesota, where she has taught and conducted NIH-funded research since 2000. Her research focuses on hearing loss and the problems of understanding speech in noise by a variety of populations, including children in schools, second-language learners, hearing aid users, and cochlear implant listeners. She is currently the founding director of the University of Minnesota’s new Center for Applied and Translational Sensory Science (CATSS). There she oversees interdisciplinary research in vision, hearing, balance, and tinnitus. As Center director, Professor Nelson and colleagues have engaged the community in a discussion of sensory loss and sensory aids. Dr. Nelson served on the EHDI Advisory Board for 10 years and served on the US Access Board committee that developed acoustic guidelines for schools. Over the years, she has testified for the Commission on many different pieces of legislation. Fun fact: she used to be a certified sign language interpreter. The Executive Director reports to a fifteen-member Board appointed by the Governor. Mr. Gove directs the licensing system for Minnesota's 10,500-plus state, county and municipal peace officers and part-time officers. The licensing system includes components of minimum selection criteria, professional standards, continuing education, complaint investigation, and the rule-making process. He also collaborates with law enforcement agencies, higher education programs, the legislature, and the Office of the Governor on issues germane to POST functions and responsibilities. 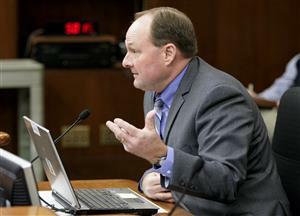 Nathan Gove took over as the 7th Executive Director of the MN POST Board after retiring from a nearly 29 year police career in Minnesota. Most recently, he was a police officer for the Golden Valley Police Department for over 20 years, spending the last 6 years as a commander. 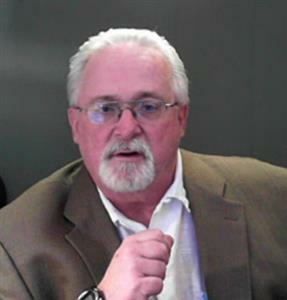 During his career at Golden Valley, he was a member of the West Metro S.W.A.T. Team for 19 years and held the positon of team commander for approximately 14 years. of the FBI National Academy in Quantico, Virginia. 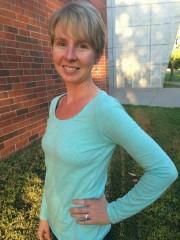 Christa Troup is the Development Coordinator/Grants Manager for TreeHouse. The vision of TreeHouse is to reach every at-risk teen so they are loved, feel hope, and realize life transformation. To accomplish this vision they seek to fulfill their mission to bring living hope to hurting youth and families leading to life transformation. Christa has been with TreeHouse for three years. As Grant Manager, she seeks out possible opportunities of foundations who align with TreeHouse's mission of serving at-risk teens. She works to bring awareness of TreeHouse into the communities, talking with local Rotaries, businesses, and people who share the mission of TreeHouse. Lunch at 11:30 a.m., Tour at 12:15 p.m. 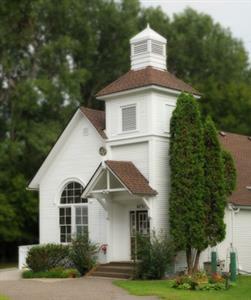 The mission of the Golden Valley Historical Society is to discover, preserve, and disseminate historical knowledge about Golden Valley, Minnesota. Their goal is to preserve and restore the oldest church in the city. 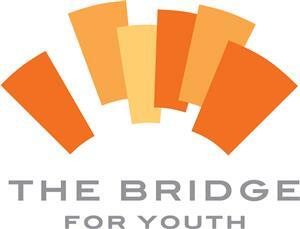 Michelle brings to The Bridge for Youth more than 20 years of experience in the public and nonprofit sectors. She has started and led organizations focused on runaway and homeless youth, child welfare, racial disparities and strengthening families since the early 1990s. In 1993, she started Avenues for Homeless Youth, one of the first programs in Minnesota for homeless youth and an organization still in existence today. Between 2001 and 2008, she worked in progressively higher positions at the Minnesota Department of Human Services, eventually leading department priorities regarding racial disparities in health care, healthcare reform, licensing regulations and child maltreatment. She left the Department in 2008 to serve as the Executive Director for FamilyWise (formerly Genesis II for Families) and between 2008 and 2013, led a dramatic organizational turnaround including the organization more than doubling in size, completely rebranding and merging into it several smaller nonprofits and programs. Michelle also co-founded the Minnesota Runaway and Homeless Youth Coalition in 1998 and the Nonprofit Emerging Leaders Academy in 2009. 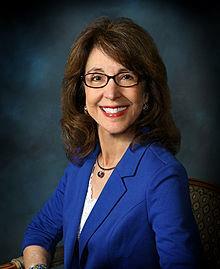 She also served as a Vice President at CommonBond Communities and as the CEO for the YWCA of Delaware. Michelle holds an undergraduate degree in communications and organizational development, a graduate degree in public administration and a law degree in addition to having previously served as a Fellow at the Humphrey Institute Public Policy Forum where she did her group work on women and people of color in political leadership. Michelle is also a part-time adjunct professor at Mitchell Hamline School of Law. She brings to The Bridge her education, experience and more than anything, a deep and unwavering passion for protecting and serving runaway and homeless youth. Christina has more than 15 years of experience in nonprofit administration and development. She has developed nationally recognized donor engagement programs – Women United, Emerging Leaders and Arise Project – for United Way. She spent 4 years as the Director of Leadership Affinity Groups at United Way of Central New Mexico, and 5 years as the Manager of Leadership Giving at Greater Twin Cities United Way. 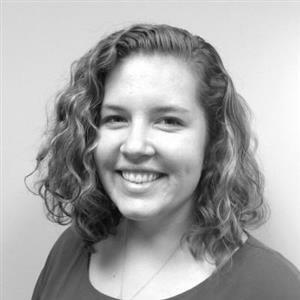 Prior to joining United Way, she worked at Discovery Creek Children’s Museum in Washington, DC, as the Special Events and Board Relations Manager. Most recently, Christina was the Director of Donor Relations at Perspectives Inc. in St. Louis Park. In this capacity she introduced an audience segmentation and donor acquisition strategy focused corporate women and millennials. Ellen Kennedy, World Without Genocide, Exec. Dir. Using the model of the Genocide Intervention Network, founded by Mark Hanis, Kennedy began World Without Genocide with a dedicated and gifted group of students. Over the past eleven years the organization has focused on education through many different opportunities – classes, workshops, films, exhibits, conferences – and have advocated successfully for city and state legislation. They address conflicts in the past, those occurring today, and the challenging problems of child soldiers, human trafficking, gender-based violence, weapons trafficking, and resource scarcity or abundance as causes of conflict. Susan Bartlett Foote is professor emerita in the School of Public Health at the University of Minnesota, where she was head of the Division of Health Policy and Management from 1999 to 2005. She is author of Managing the Medical Arms Race: Innovation and Public Policy in the Medical Device Industry. She is also author of The Crusade for Forgotten Souls: Reforming Minnesota’s Mental Institutions, 1946-1954. The Crusade for Forgotten Souls recounts Minnesota’s reform movement that broke the stigma surrounding mental illness, publicized the painful truth about the state’s asylums, and resulted in the first legislative steps toward a modern mental health system. Susan Bartlett Foote tells the story of the early advocates for compassionate care of the mentally ill who made the crusade a success. Days for Girls volunteers and enterprises have reached more than ONE MILLION women and girls around the world who now have more days of opportunity, dignity, and health thanks to Days for Girls menstrual health solutions and education— making sure that every single day of her life counts. When we mobilize girls and women through health and education opportunities, their communities and our world grow stronger. 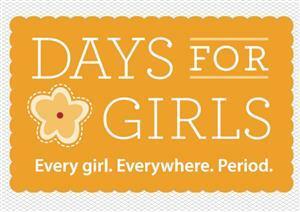 Pads are a simple thing that helps girls go to school and women go to work. Judy Johnson of the Maple Grove Rotary will be speaking about the project which provides a washable/reusable product for use during menstrual cycles, enabling girls and women to attend school/work during menstruation when they otherwise could not. 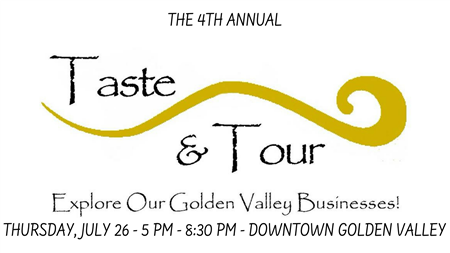 The Golden Valley Orchestra is dedicated to serving the community through beautiful music. The Golden Valley Orchestra's purpose is to enhance, enrich, and expand the musical experiences available to the community and support continuing music education through informative and entertaining performances. 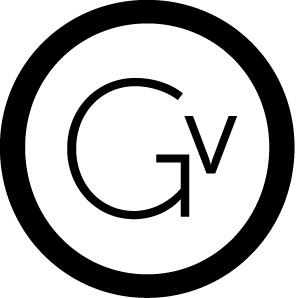 The Golden Valley Orchestra (GVO) is a large chamber or classical-sized ensemble of approximately 30 members from around the Twin Cities Metro area with both professional and amateur musicians. The GVO has the distinction of becoming the first Twin Cities orchestra - professional or amateur - to produce a series of dedicated programs for local Twin Cities television. 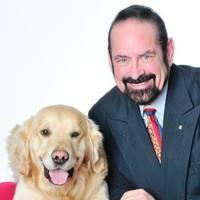 Alan Peters serves as Executive Director of Can Do Canines and founded the organization in 1987. 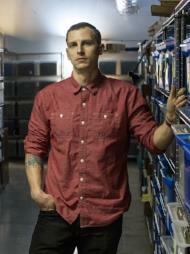 He is responsible for general management as well as fundraising, publicity, and public relations. Mr. Peters has a B.A. in Psychology and Human Development from St. Mary’s University in Winona, Minnesota. He has completed the College of St. Thomas Mini MBA Program for Managers of Non-Profit Organizations, was selected to attend the I.D.S. Excellence in Community Leadership Academy, and completed 11 days of specialized training in The Fundraising School. Mr. Peters has received a Kosciuszko Foundation Scholarship and a Pillsbury Fellowship, enabling him to progress on an MBA in Non-Profit Management at the College of St. Thomas. In 1994, he was selected to receive the Minneapolis Award from Mayor Sharon Sayles Belton. Mr. Peters has been a member of the Spring Lake Park Lions Club since 1995 and was selected to receive the Helen Keller Award in 2009. 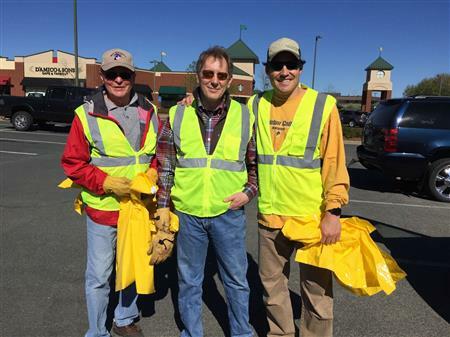 October is Rotary International Vocational month. The Golden Valley Rotary Club celebrates by naming a local Business of the Year to honor. The 2018 selection is Tennant Company of Golden Valley. They will receive their award at our October 23rd meeting. 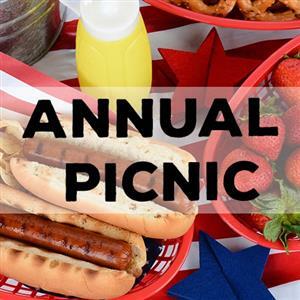 Tuesday evening, 5:00 p.m - 8:00 p.m. Dinner provided. We need your help setting the course of our club for the future! 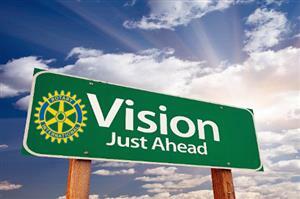 Why Golden Valley Rotary? Where do we want to focus the time, talents, and resources of our members? How do we attract future members as well as community supportive partners? Please join us for this important "special session" led by Guy Marzano, our Area Five Governor. Chris Wright, CEO, will join us. Chris Wright joined Minnesota United as the organization’s first CEO after 26 years with the Minnesota Timberwolves and Minnesota Lynx, including the last 13 years as President. Growing up in England, his first love was soccer, and it was only after a brief career as a player and then a coach/manager that he came stateside to work in the Major Indoor Soccer League. He eventually made his way to Minnesota to serve as the general manager of the Minnesota Strikers. Allianz Field is a soccer-specific stadium currently under construction in the midway neighborhood in Saint Paul and the future home of Major League Soccer team Minnesota United FC. 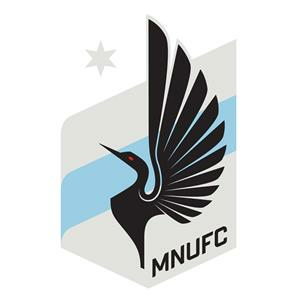 On October 23, 2015, team owners announced that Minnesota United would build a stadium on the 35-acre Saint Paul bus barn site. Find out everything you want to know about the new soccer stadium when team leadership joins us at Rotary! In response to racial unrest, Rose McGee of Golden Valley created Sweet Potato Comfort Pies. Since 2014, the idea has developed into a full-blown community project and shows no signs of slowing down. Rose will speak about the program and what is in store for the future. Rose McGee, M.Ed. is founder of McGee Circle Series, a storyteller, educator, entrepreneur, and facilitator who uses the art of story circle when convening. Rose resides in Golden Valley, Minnesota where in 2017 she was named Golden Valley Rotary's Citizen of the Year.